A lactic acid peel is very similar to a glycolic acid peel. Both natural peels will help reduce the appearance of unwanted wrinkles and discoloration. And, both peels will boost the natural production of collagen and elastin to noticeably improve the appearance of skin. A glycolic acid peel is a type of Keratolytic Therapy. It is an organic skin peel derived from natural sugars found in common plants such as sugarcane, sugar beets, pineapple, grapes, and cantaloupe. Glycolic acid easily penetrates deeper into the skin as it is the smallest alpha hydroxy acid available. This peel has a notable effect of keratinization of the skin as well as the increased formation of keratin elastin, and collagen. In other words, glycolic acid is an organic peel that is highly effective at removing old layers of skin and promoting natural skin rejuvenation. In addition, glycolic acid has been used to treat skin disorders such as eczema. 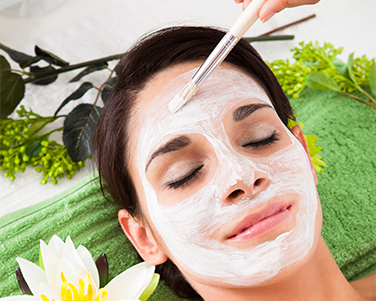 A lactic acid peel is a more mild skin treatment. Like glycolic acid peels, lactic acid peels are derived from natural ingredients. Lactic acid is naturally created by the body when breaking down and rebuilding tissues. Most people are familiar with the burn created by lactic acid when working out. Similar to glycolic acid, lactic acid is able to break down old layers of skin and promote natural skin rejuvenation. It is important to assess the condition of your skin when determining what the best skin peel would be for you. Often, it is helpful to consult with a physician to accurately determine the current condition of your skin and the least invasive option that is likely to yield the desired results in the desired amount of time. Getting the right peel can help improve the overall appearance of your skin by reducing signs of aging and promoting the growth of newer, softer skin.